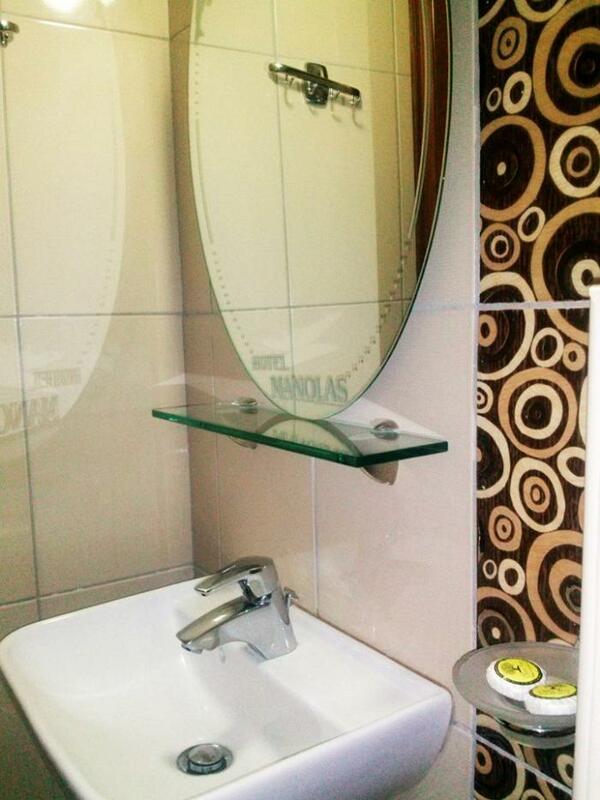 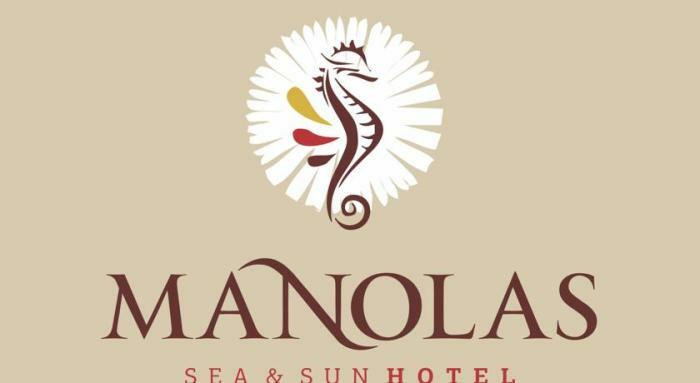 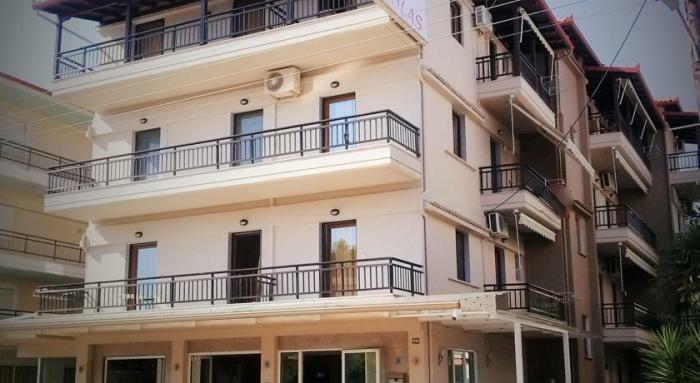 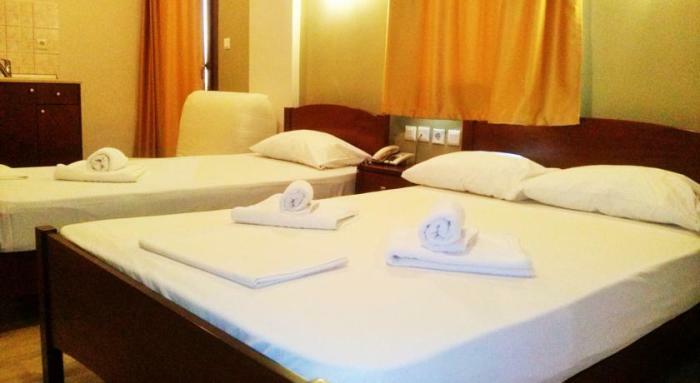 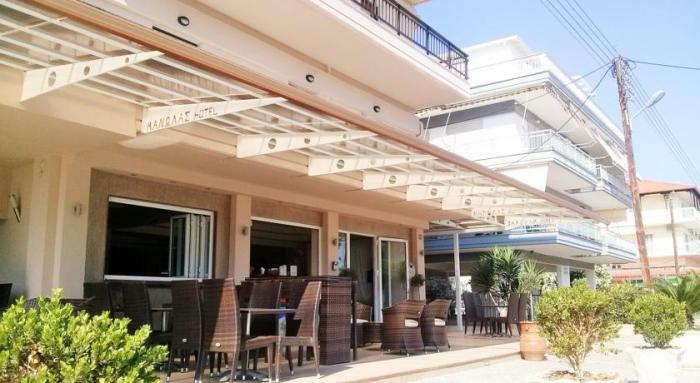 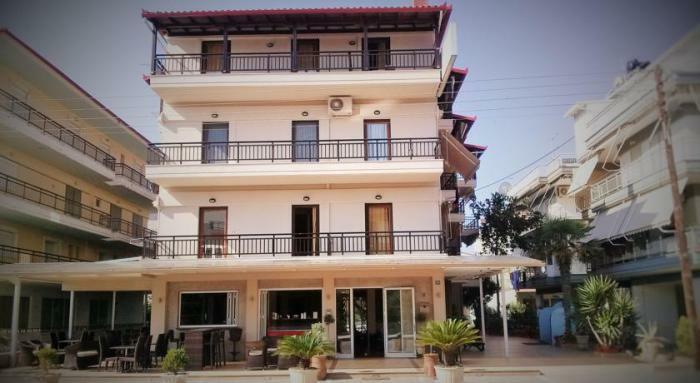 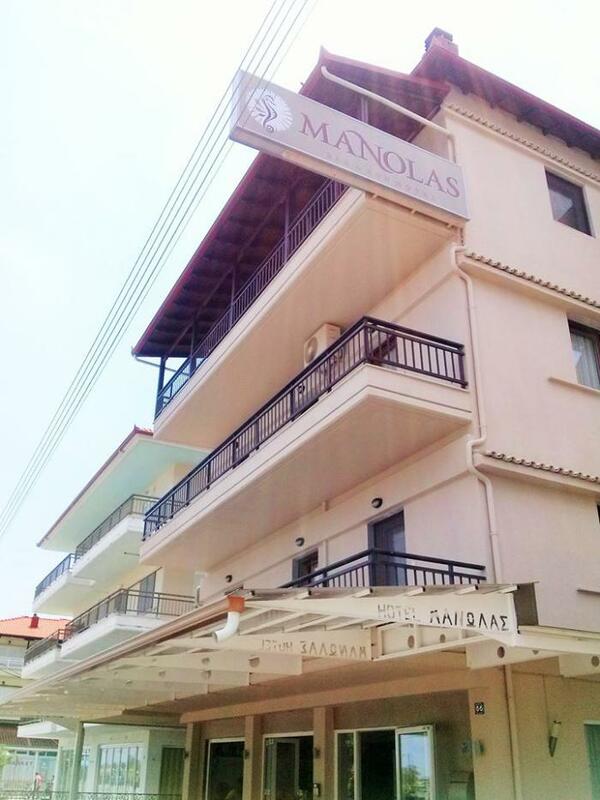 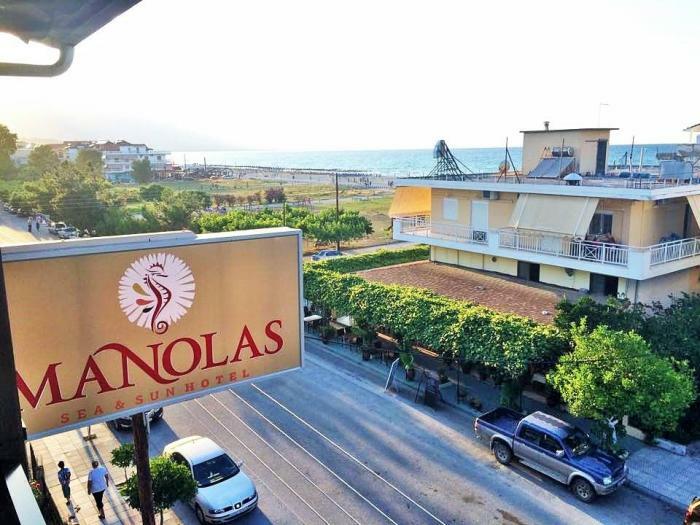 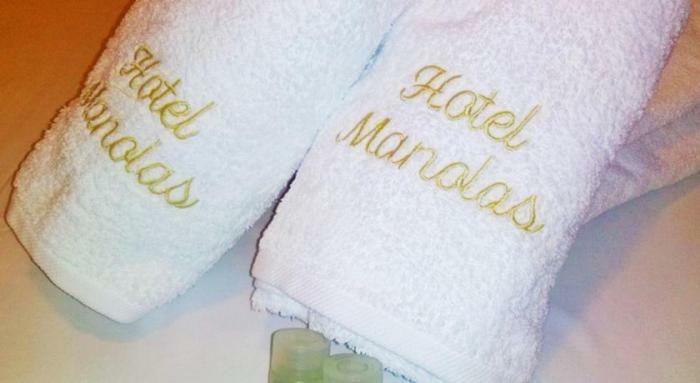 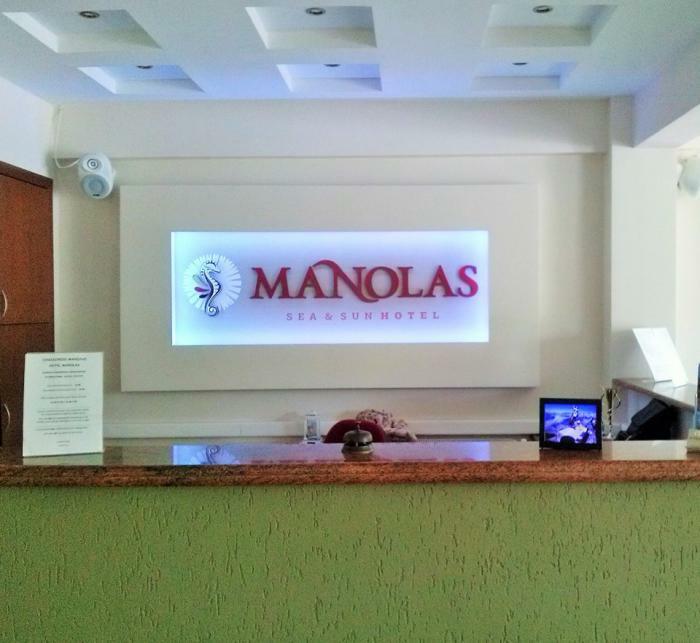 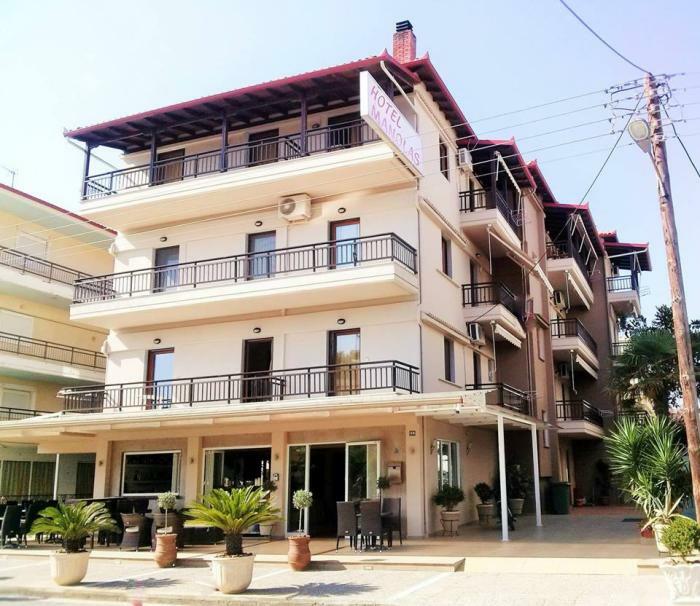 Located in a wonderful area which combines the beauty of mountain Olympus and the air of the Aegean sea, hotel Manolas provides you a quality staying in a beautiful, clean, quiet and friendly environment, only 50m away from the sea. 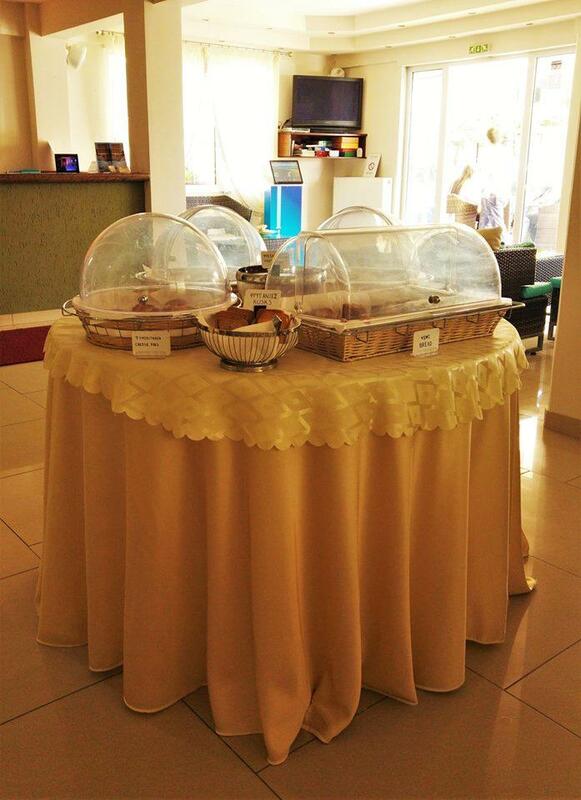 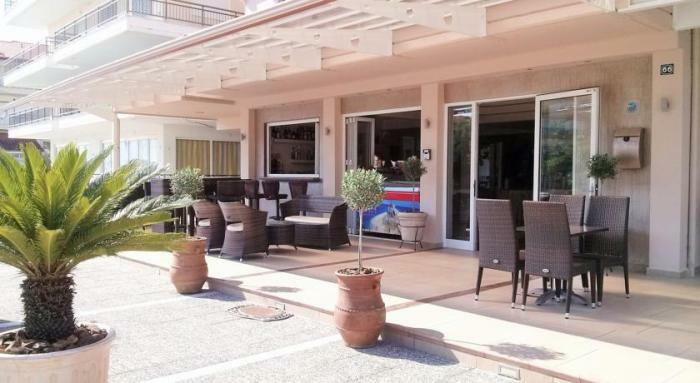 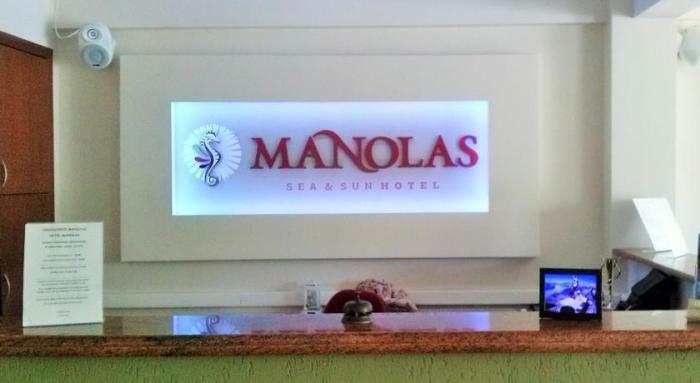 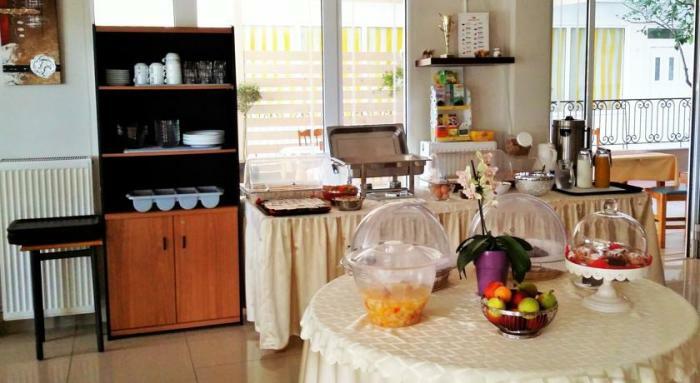 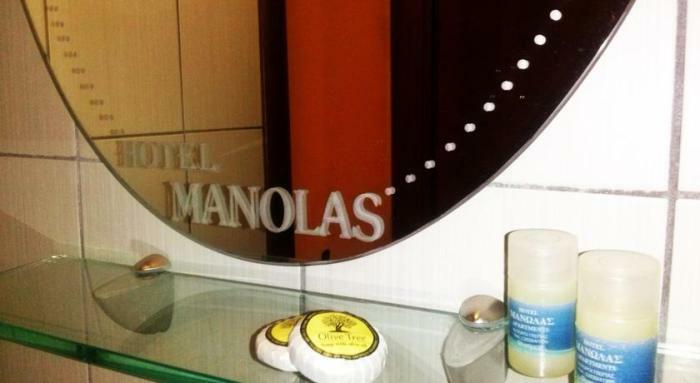 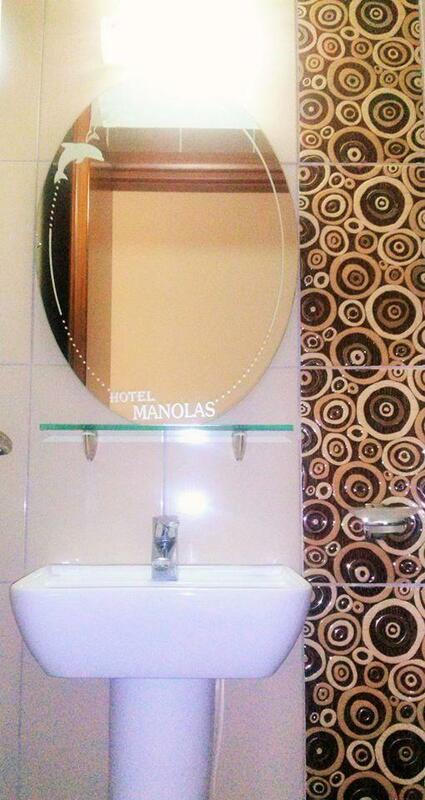 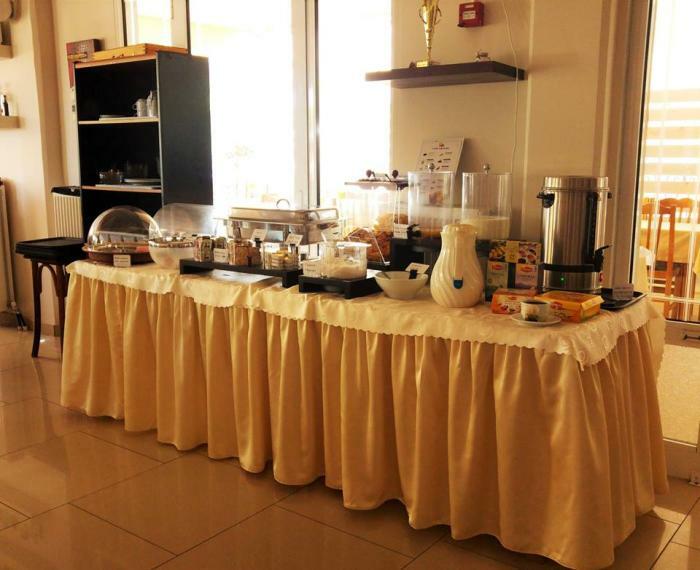 Hotel Manolas qualifies a cafe-bar, where you can have your breakfast, coffe or drink. 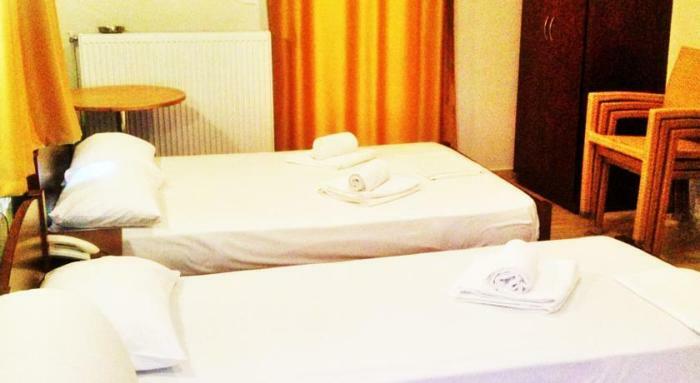 In Nei Pori you can enjoy yourselves at the clean and safe, sandy beach. 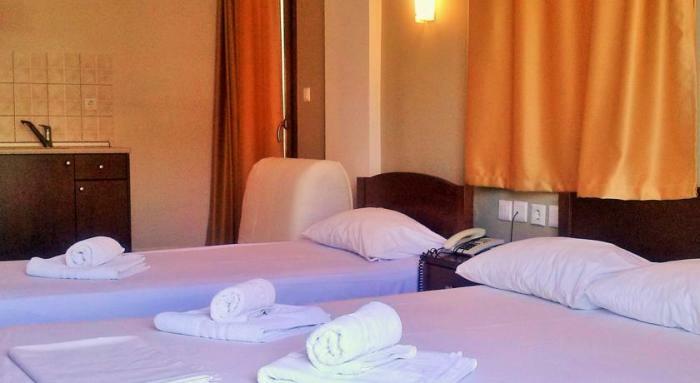 You can also attend water sports facilities (Jet ski,Water ski, etc). 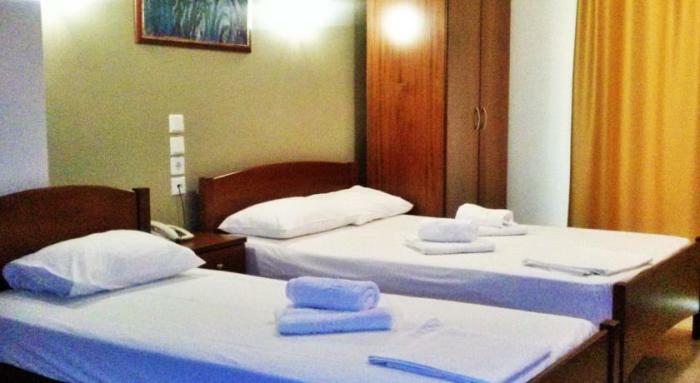 Ιn addition, you can visit the memorial Castle of Platamon, the ancient theatre of Dion and the charming valley of Tempi. 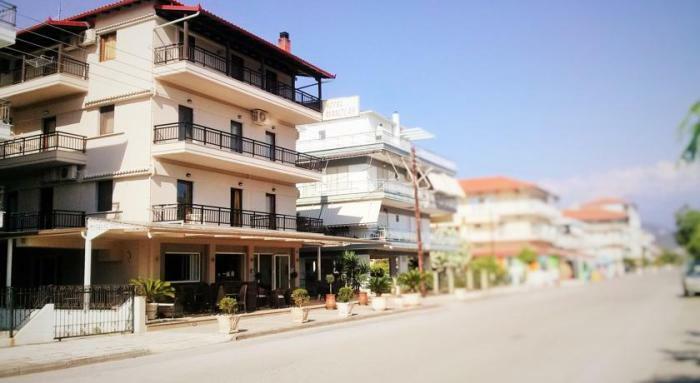 Also, don't miss visiting the traditional villages Old Pori and Old Panteleimon, in the green scenery of mount Olympus! 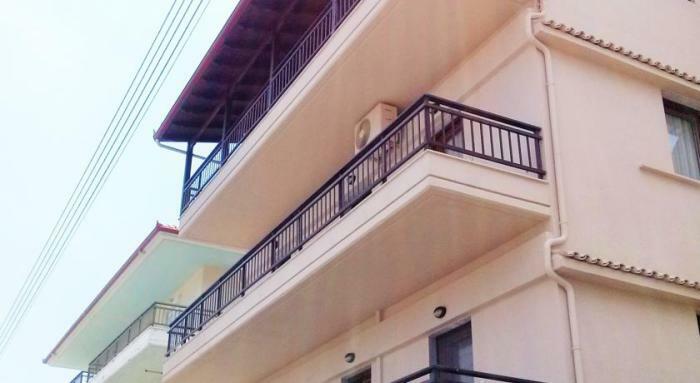 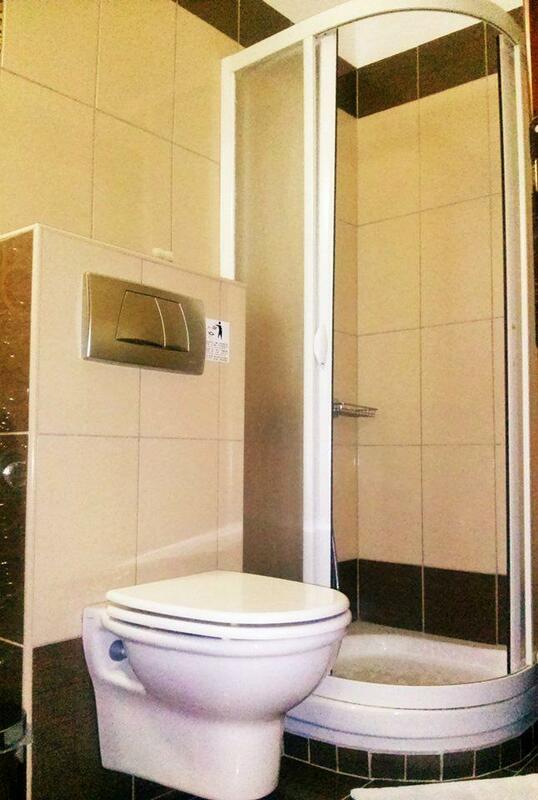 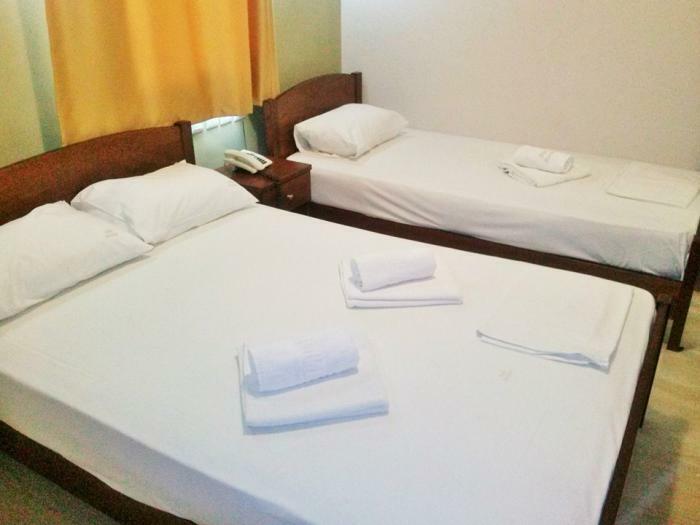 Every room and apartment has A/C, TV, kitchen, fridge and telephone.